In this volume, thirteen authors from all points of the English-speaking world provide a tour of the entwined labyrinths of technology and terrorism. They describe terrorism as an epistemological contact sport. With espionage, one can often deduce from a few pieces of the puzzle a plan's goals and its roots, its sources. But the goals of terrorists are both vague and hopelessly specific, while their means are restrained by rational, institutional thought. Thus, terrorists can be equally expected to flail out without any thought at all, as a child might exhibit in a temper tantrum, and to be hyper-rational, probing at the edges of the target for any weakness. 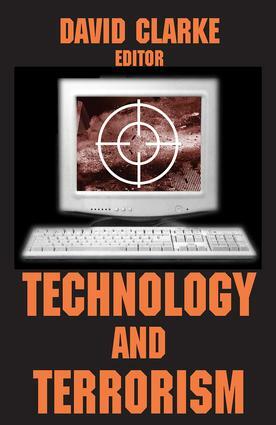 Therefore, how terrorists use technology may not be determined by any particular level of technology but in the probabilities for the target's expectation and defense regarding particular technologies. Fred Allen asks why Bin Laden and his organization were effective against the Russians but may have more trouble with free societies. Edward Tenner muses on the ironies of low-tech attacks and the dangers of over-reliance on high-tech sophistication. Such thoughts are tempered by direct and unreassuring reportage from the federal security front. Ann Larabee turns the telescope around, with a history showing that bomb-throwing is as American as apple pie. Toby Blyth takes us inside the theorists' backroom for a look at the ever-mutating ways, means, and motives of war. It used to be about power, money, land, resources, or the ever-popular Pamir Knot "Great Game." Now it seems that globalization has coughed up groups of people, with little in common except for simultaneous feelings of helplessness and cultural superiority. Modern technology, which once seemed to hold only promise, now seems to harbor the potential for danger and destruction. The contributors to this volume are interested in the broader culture, and how terrorism affects that culture--including how people go about researching terrorism.